A social networks is a kind of tool to connect with people ,share your personal knowledges, images , videos, interests with your friends or sometimes to make a new friend by using these common stuff(hobbies, interests..). There is a huge growth of using social networks and no way to prevent this situation. A lot of debates go around about advantages and disadvantages of using social networks. I think it is pretty easy to indicate which benefits people can get by using them for friendships, brands, marketing, logistics and something like that. Do we really use that kind of tool for our benefits without any risk? Let`s think about Facebook which has more than 600 million active users. At the beginning, i thought that it would be harmless to use it with your close friends. First we add our personal knowledges from date of birth to address. Than start to share our photos,videos and personal interest. It gets more connection with new friends who you barely know and we are available to be found by a friend of a friend of our friend. It goes on like that. After a while i realized that i have shared my stuuf with people i cant really trust though i have about 200 friends on my Facebook. What about the people who have about 600/700/800 .. friends.? Maybe it sounds weird and unrealistic but unfortunately true because i know it from my most of friends who do have those number. Are they really close friends with each other to share everything?Of course not. 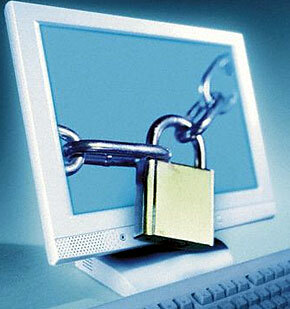 Therefore ,even if your profile is visible to just your friends, it is not enough for safety. Being searchable on Google with your social network`s profile,other personal knowledges with photos doesn’t seem safety too. On the other hand ,your every move is watched on the Internet and the perfect proof for that is “ Online Advertising”. With those risks and without privacy what should we do? We should think the advantages and disadvantages together to catch the balance between them, pay more attention and of course think before your every move online to not regret later because it s so obvious that even if you delete what you did or shared, they are not really deleted on the Internet. According to some people, social media is just a tool for entertainment, communication with friends and sometimes just waste of time but it includes more than it seems. `Social Media Revolution 2010` makes clear the idea of what actually social media provides to people, even business life. I said business life because as you can see `consultants and marketing professionals are the most active users of social media` in the video ,it gives a big opportunity for them to increase effectiveness, success and of course profits of their business. Nowadays, it is almost impossible to imagine any way to be known well by consumers ,give consumers an opportunity be part of production and increase their qualities without IT. The real numbers of being active, getting account and benefits from social media indicates the importance of it for everybody. That is important because of the inescapable growth of using social media every year and you can see some predictions about future of it in a few years. I am not talking about just Facebook, Twitter and similar social networks.it also includes `Wikipedia` and the other online places which you can get any information whenever you need or blogs to create your own pages which consist of your ideas interests, images and comments. It is a kind of way you can be part of it or a tool you can get what you need with better opportunities. Of course there are a lot of disadvantages of having that kind of social medias in our life like losing privacy and something like that but it is so obvious that you can get a lot of benefits from it . Therefore, it depends how you add it to your life and how you prefer to use.